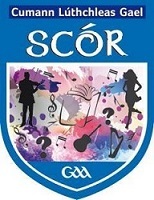 An evening of fun and friendly rivalry is planned for Friday March 8th in the Dome Suite, Castlecourt Hotel, Westport. 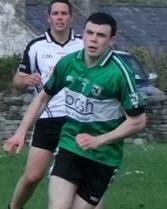 Islandeady G.A.A. take on neighbours Fahy Rovers A.F.C. in a light-hearted White Collar Boxing event that promises to be entertaining with lots of good-natured banter and competition. This will be followed by a Barbeque in The Castle Late Night Venue from 11.30pm. Doors open at 7.30pm and the first fight is at 8.30pm. Tickets are available from Islandeady G.A.A. 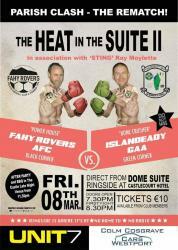 Club members for “The Heat in the Suite II” in association with “Sting” Ray Moylette.